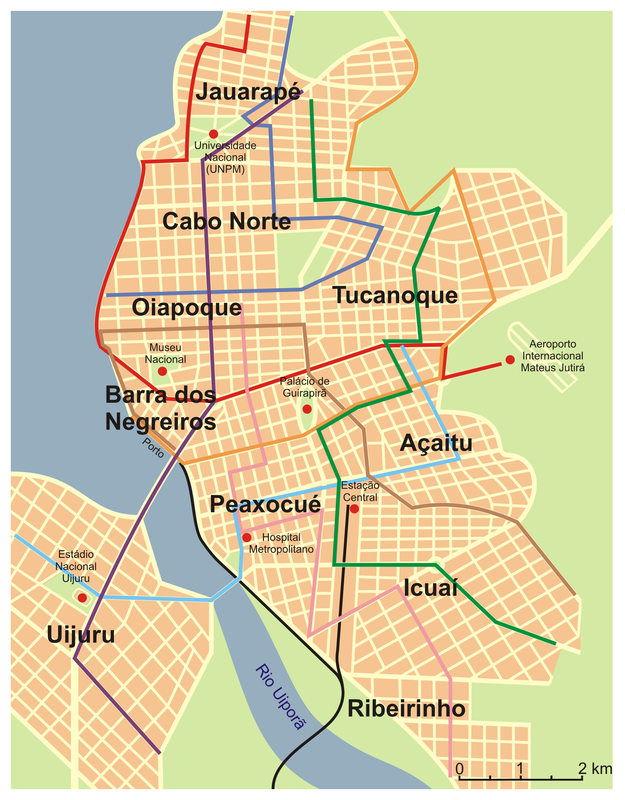 The city of Porto da Mata, the "Port of the Jungle" in Portuguese, was founded in 1791, in the delta of river Oyapock in a place already called peaxokwé or "old harbor" by the Yutyraman indians. The city developed since then and now has a population of almost 100,000 inhabitants. Visited yearly by 500,000 foreign tourists, the city has an international airport, a port and a university. It is served by 8 bus lines and one railway.